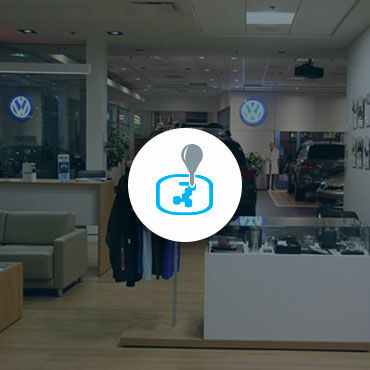 No matter what your Volkswagen accessory needs are, we have what you’re looking for at Centre-Ville Volkswagen. Genuine Volkswagen accessories are specially designed for your VW car to maintain its performance and reliability while improving its style or versatility. Come meet our team of Volkswagen advisors who will be able to help you find the accessory that suits your needs. Genuine VW accessories are designed for your Volkswagen vehicle. In addition, when installed at the time of purchase, they are covered by the same full 4-year or 80,000-kilometer warranty offered on all new Volkswagen vehicles. If you add the accessories after the purchase, they are still covered by the remaining full warranty, or a 1-year or 20,000-kilometer warranty. Volkswagen is confident in the quality of its products and accessories. Come discover today our complete collection of original accessories at Centre-Ville Volkswagen. Whether you want to customize or protect your VW, we have the wheels, roof boxes, roof rails, and sports equipment racks you’re looking for.